Within hours of The Hollywood Reporter's expose about animal deaths in Hollywood productions, the American Humane Association (AHA), the organization responsible for overseeing animal welfare, responded with a press release and media blitz claiming that the expose exaggerates the frequency of accidents and places undue weight on the ones that have occurred. But the crux of The Hollywood Reporter's article alleged that the AHA may be handing out those "No animals were harmed. . ." disclaimer without cause. Among the most damning: an email that said a tiger used in the filming of the movie "Life of Pi" had "damn near drowned" during a scene. And Gina Johnson, the AHA monitor who wrote that email and was assigned to monitor "Life of Pi," resigned on Wednesday, according to CNN. In an email, the AHA told CNN that "The email of the employee in question led to an internal investigation and there was no evidence of any harm to the tiger as determined after multiple inquiries." Karen Rosa, senior advisor at the AHA, made the media rounds to answer questions. Specifically, she refuted the seriousness of the "near-drowned" tiger, telling AFP: "That was unfortunate. We believe that she exaggerated. But the bottom line was ... the animal did not suffer any harm." "Cats are good swimmers!" she added. The aversion to investigations also is illustrated, sources say, by the tightly circumscribed jurisdictional parameters that AHA management sets for itself, which the AHA says is due in part to inadequate funding even as the number of productions has dramatically increased over the years. 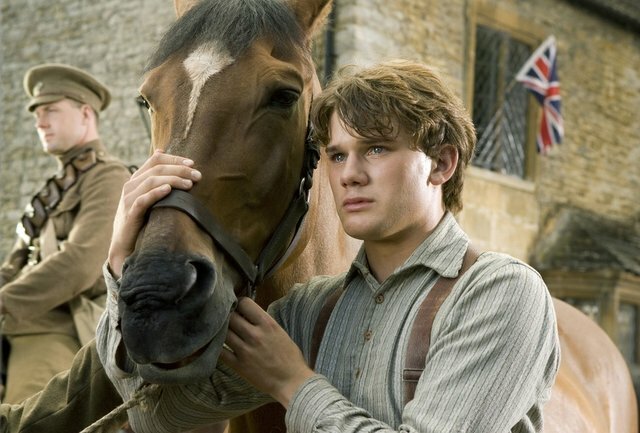 If a horse dies in transit immediately after filming, as the AHA admits happened during the filming of "War Horse," that falls outside the AHA's self-prescribed purview. But The Hollywood Reporter insinuates that there could certainly be a connection between the death of a horse and the activity that horse recently completed. And to the AHA's credit, its new head of its Scientific Advisory Committee, veterinarian Kwane Stewart, told The Hollywood Reporter that "We need to ultimately expand our jurisdiction." The AHA has yet to specifically announce the expansion of its rules, but perhaps the new blood and new media pressure will speed up that process. We'll keep you updated on all developments in this story.